The surface of most streets in the city center allows for a trouble-free movement, however, some streets are paved with historic tiles. Please, be careful there as you may encounter uneven terrain and curbs. Only the holders of ŤZP or ŤZP-S (disability cards) are allowed to park on the parking places reserved for disabled persons. Such places are marked with “P Reservé” and the wheelchair symbol. The front (or rear) window of the car must feature a valid European parking card for people with disabilities. It is not possible to park on the parking places intended for disabled without this card. Parking places for the disabled are usually located in front of or in the close proximity to offices and institutions as well as shopping centers (eg Eurovea, Aupark). If the reserved parking place is occupied, parking on another parking place is no longer free of charge and you need to buy the relevant parking ticket. The garage is equipped with a platform for disabled as well as a lift. Not all bus lines are wheelchair-accessible. Wheelchair-accessible bus lines are marked in the timetable with the wheelchair symbol next to the line number. In the case where the bus line is also serviced by non-wheelchair-accessible buses, the departure of a wheelchair-accessible bus is marked with the wheelchair symbol. Upon request, the driver will allow the passenger to board and get off the bus using a platform. The passenger is obliged to notify the driver in advance of his/ her intention to get off at the next stop by pressing the button with the wheelchair symbol. Slovak citizens – holders of the ŤZP and ŤZP-S cards (disability cards) are entitled to a 50% discount of the ticket price. Disabled citizens of other countries are not entitled to any form of discount when buying a ticket for public transport. Disabled citizens of EU countries under 6 years of age travel free of charge, citizens aged 6 to 16 and citizens over 62 are entitled to a 50% discount on the ticket price. In the event of ticket inspection, the passengers are kindly requested to prove their age by showing an identity card. The Castle area is a wheelchair-accessible, however, the pavement to the Castle leads uphill. In the case you use a manual type of wheelchair, we also recommend to bring along an accompanying person. Before entering the Museum, it is necessary to report your presence to the cashier, as he/ she then opens a separate side entrance for you. The museum is wheelchair-accessible (lift), except for the coronation tower and the jewellery room. The Museum also features wheelchair-accessible toilets. The Museum accepts Slovak and international disability cards. The Castle is wheelchair-accessible up to the middle courtyard, however, the pavement to the Castle leads uphill. In the case you use a manual type of wheelchair, we also recommend to bring along an accompanying person. The upper part of the Castle is not wheelchair-accessible. The Church is wheelchair-accessible and is open only before and during the Holy Mass, i.e. from Monday to Saturday from 7 AM to 7:30 AM and 5:30 PM to 7:00 PM and on Sundays from 7:30 AM to 12:00 PM and 5:30 PM to 7 PM. Wheelchair-accessible (convenient transfer between the floors (lift), however, the observation tower is not wheelchair-accessible. When entering the Palace, it is necessary to report your presence at the front desk, the employee then takes you to the lift in the third courtyard. 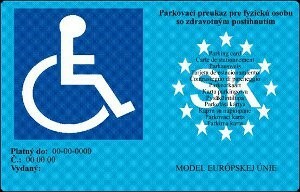 The gallery accepts Slovak and international disability cards. Wheelchair-accessible (convenient transfer between the floors (lift). The front desk is not wheelchair-accessible, it is necessary to call in advance: +421 2 6252 0300. The restaurant is wheelchair-accessible, the observation deck is, unfortunately, not. More wheelchair-accessible accommodation can be found here: www.booking.com. Most restaurants in the city center are not wheelchair-accessible, nor do they have wheelchair-accessible toilet. During the summer months, many restaurants in the historic center have open summer terraces which are wheelchair-accessible. Wheelchair-accessible restaurants can also be found in shopping centers (e.g. Eurovea, Aupark).